Posted Thursday, July 12th, 2012 by Corey Northcutt. The basic principles that underlie inkjet printing are easy to understand. A series of dots comprised of inks are squirted through a printer head at a substrate — most commonly paper. The exact mechanism by which this is achieved is quite complicated, but the idea of creating images by building up patterns of dots on a surface has been around for a long time, and was frequently used by artists. This week we’re going to take a look at three artistic techniques that artists have used to create paintings and printed works in a manner analogous to the inkjet printing process. Most painters create images by mixing paints on a pallette until they’ve got the right color, and then applying it to their canvas with a brush in long strokes. Pointillists instead use small drops of pure colour added in a precise arrangement and proportions, which, when viewed from a distance, merge into a block of color. This is very much similar to how inkjet printing builds an image. 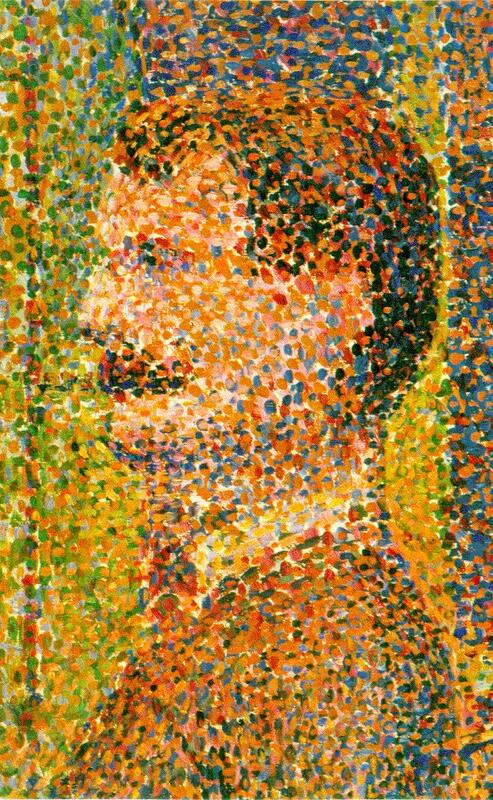 Pointillism was first used by French post-Impressionist artist Georges Seurat in the latter half of the 19th century, and has been employed by various painters since, including Van Gogh. 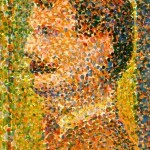 Modern painters like Chuck Close use the pointillist technique to achieve photorealistic results for their works.